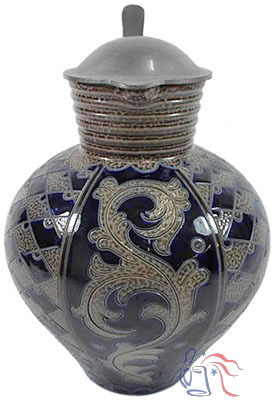 Stoneware, hand-incised, 2.25L, pewter lid. Appearing initially in a 1962 Merkelbach sales catalog as model No. 4428, and later assigned the model No. 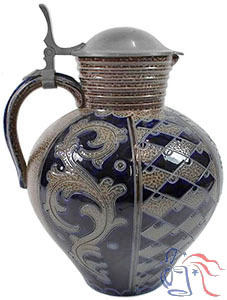 928/42, production of this “handgeritzt” stein continued through the 1970s.